SoftBank-backed hotel aggregator Oyo Rooms is looking to acquire Tiger Global-backed smaller rival Zo Rooms, two media reports said on Thursday, citing three unidentified people each. The talks began about three weeks ago and are in a preliminary stage, The Economic Times reported. 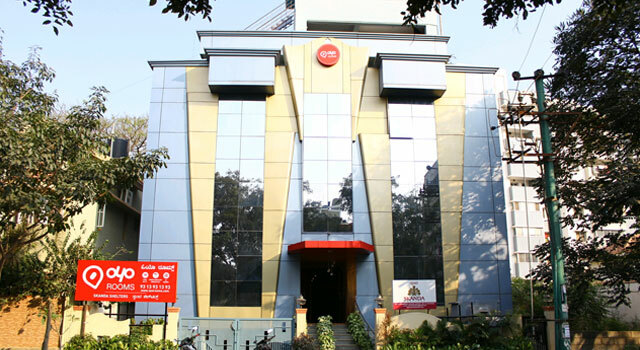 The move comes as Zostel Hospitality Pvt Ltd, which runs Zo Rooms, is struggling to raise fresh funds, the Mint reported. Ritesh Agarwal, founder of Gurgaon-based Oyo Rooms' operator Oravel Stays Pvt Ltd, and Zo Rooms co-founder and CEO Dharamveer Chouhan didn't immediately respond to a phone call and an email seeking comment till the time of writing this report. In November, Agarwal told Techcircle.in in an interview that consolidation was bound to happen in the budget hotel aggregation segment. "If anyone innovates and creates a better way of solving guest experiences, we will be interested," he had said. In August, WudStay Travels Pvt Ltd, which owns online aggregator for budget hotels WudStay.com, had acquired offline rival Awesome Stays to enter six cities. Hotel aggregators such as Oyo and Zo are a new type of accommodation booking providers that compete with large online travel agencies (OTAs), which simply list hotels of all categories. However, even OTAs are now floating their own version of the budget hotel aggregation business. Goibibo recently unveiled goStays, a standardised budget accommodation starting at Rs 999 a day (with free breakfast) in several Indian cities. Yatra.com launched TG Rooms and TG Stays with a starting price of Rs 499 in over 60 cities. Last week, MakeMyTrip Ltd came out with its version of budget hotel rooms, branded 'Value+'. The Mint report said that Zo Rooms was in talks to raise fresh funding with at least two investors but its biggest investor, Tiger Global, has decided to go slow with the investment. The company is also under pressure to cut costs and may also look to shut down operations in Goa. The Economic Times had in October reported that Oyo Rooms was in preliminary talks to raise $400 million (Rs 2,650 crore) while Zo Rooms was looking to raise $200 million. Oyo is the biggest online hotel aggregator and is the most funded. Oyo Rooms had in August raised $100 million (Rs 635 crore) in a funding round led by Japanese tech conglomerate SoftBank. Existing investors Sequoia Capital India, Lightspeed Venture Partners and Greenoaks Capital had also put money in that round. Zo Rooms had raised a Series A round of funding led by Tiger Global with participation from Orios Venture Partners in July. Oravel Stays Pvt Ltd OYO Rooms ZO Rooms Zostel Hospitality Pvt. Ltd.